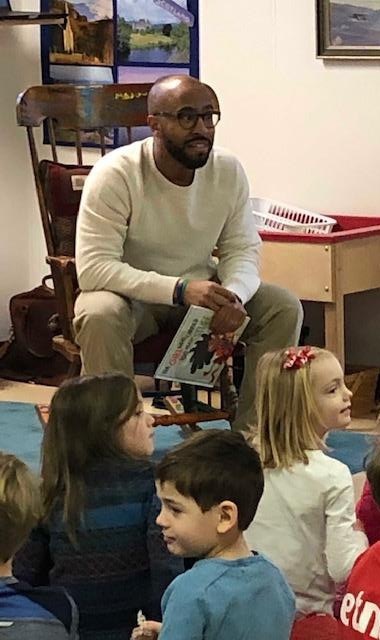 Local children's author, Marc Boston, and local musician, Tevin White, joined us last week for entertaining and inspired readings of The Girl Who Carried Too Much Stuff and What About Me? Mr. White provided musical accompaniment for Mr. Boston's readings and performed original songs that he creates in real time. He also visited some Peabody classes to sing, improvise, and demonstrate what it means to "play by ear". Our PreK through second graders were treated to an amazing and engaging morning of professional creativity. 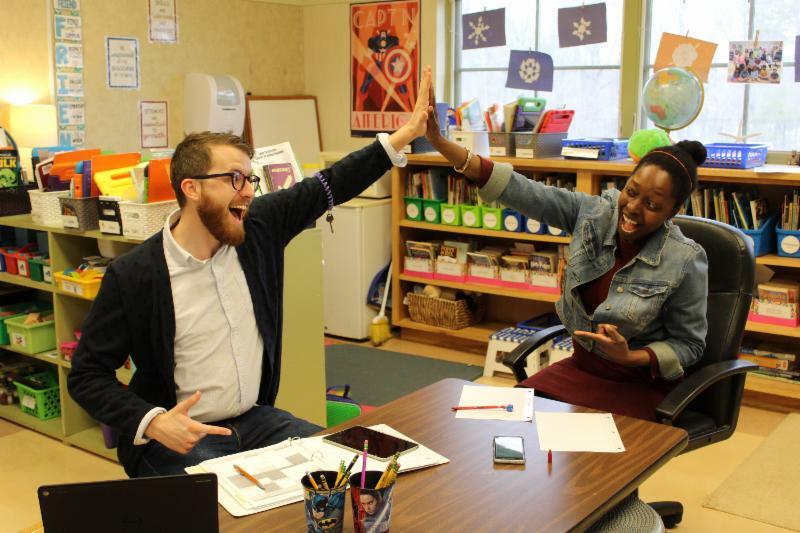 They asked thoughtful questions about the writing process, what it's like to be a professional writer, how to get stories published, and more! 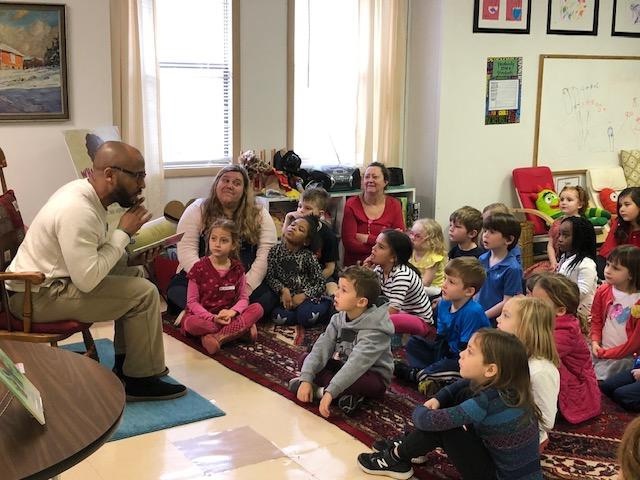 Next month we will welcome back author Kentrell Martin who will read from his Shelly series and teach Peabody students some new signs in ASL (American Sign Language). 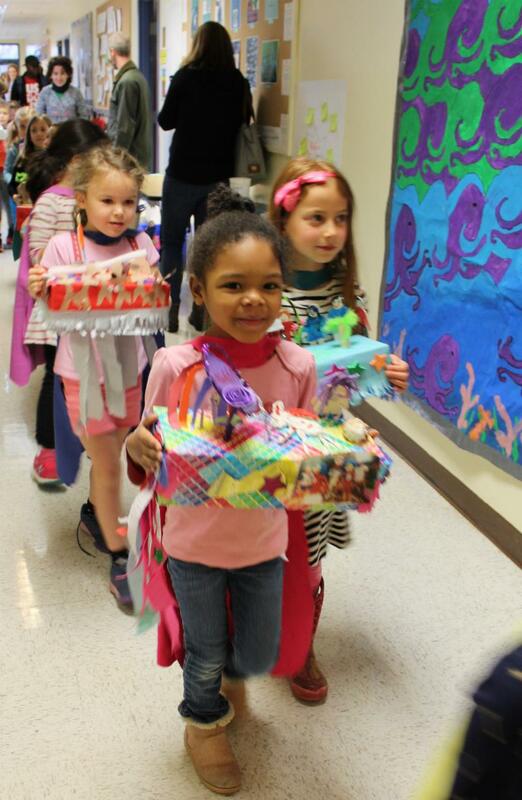 Today was the first annual Kindergarten Parade! The students have been working hard all year on a variety of projects all about self identification. We talked about families, favorites, and even our dreams for the future. Then the students worked hard to take all of these ideas into consideration while planning their very own parade float. They spent weeks engineering and creating unique pieces for their floats. 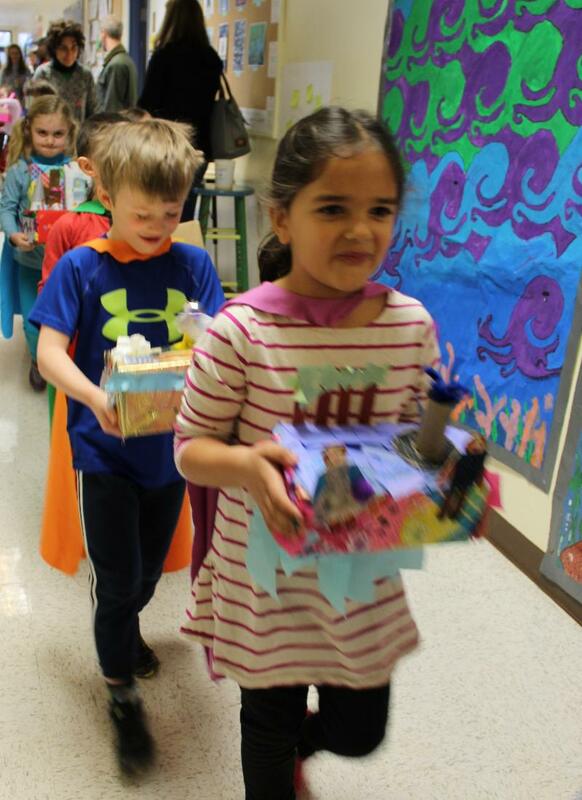 Today the students put on their Kindergarten Capes and marched proudly in and out of every classroom while carrying their elaborate floats. They loved all of the loud cheering and excited clapping that they received as the moved around the school! What a wonderful way to showcase all of the important things that make us individuals while also celebrating our wonderful Kindergarten community. Please join the Peabody Board of Directors and other Peabody parents for an evening at Three Notch'd Craft Kitchen and Brewery. 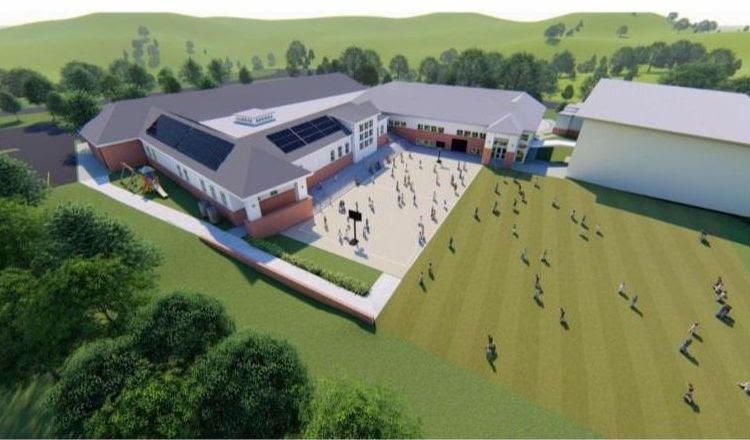 We will discuss our exciting plans for new STEM, performing arts, and classroom spaces. Remarks at 6:30pm. Heavy hors d'oeuvres and beverages on us! This is a family friendly event. We hope to see you there! Peabody Alumni Panel, March 8th! We are pleased to welcome some of our Peabody alumni back for our annual " Everything You Ever Wanted to Know about High School" panel! All 6th-8th grade students and parents are *highly* encouraged to attend this one-hour, fast-paced and funny Q&A about life in high school and how to start preparing for it now - PLEASE RSVP BY MARCH 6 by clicking HERE . We look forward to seeing the following recent alums back at Peabody! 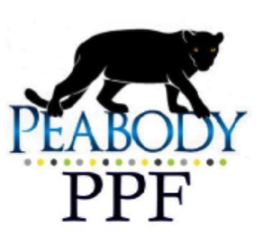 Peabody offers three sports driving the spring season, volleyball, track and field and soccer. Please contact Waki Wynn to answer any questions and to confirm your child's participation! All uniforms from the winter season sports should be returned ASAP. The Virginia Discovery Museum is launching a Youth Advisory Board for students in grades 6-10 to give feedback to VDM on our exhibits, programs and events. There will be two meetings before the end of the school year, the first of which is next Monday 2/25, 6-7pm at VDM and the other will be May 27th. There will be snacks and an opportunity to give back to the community in a way that is fun and meaningful. Please email programs@vadm.org for more information! Pack your trunks! You’re invited to Babar’s coronation! Jean de Brunhoff’s popular children’s story of one little elephant’s epic rise from rags to riches is eloquently set to music by Francis Poulenc, and expressively re-imagined by Really Inventive Stuff with all the enthusiasm and pomp worthy of a royal gathering. Long live King Babar! 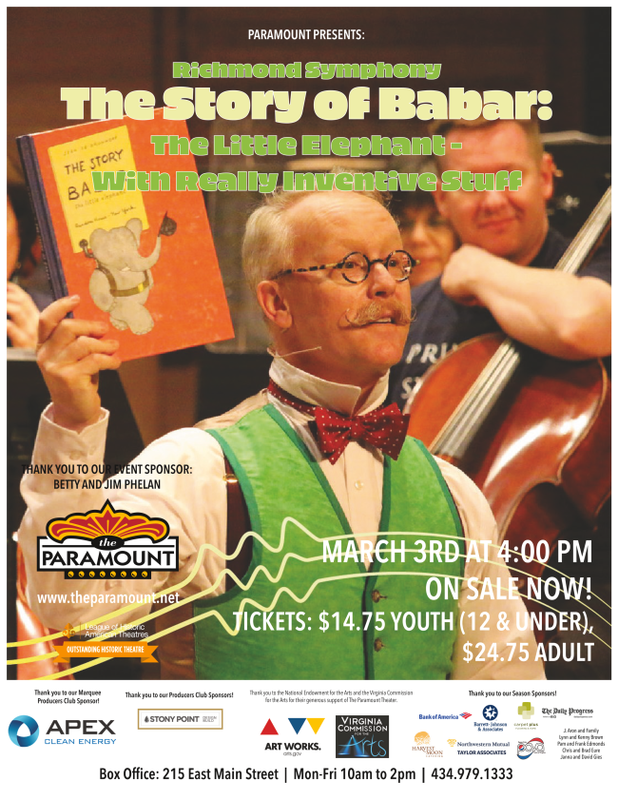 The Richmond Symphony’s The Story of Babar: The Little Elephant – With Really Inventive Stuff will perform live on The Paramount’s stage. Raspberry Pi Camp will he held the week of July 8th at Peabody for rising 6th-9th grade students. 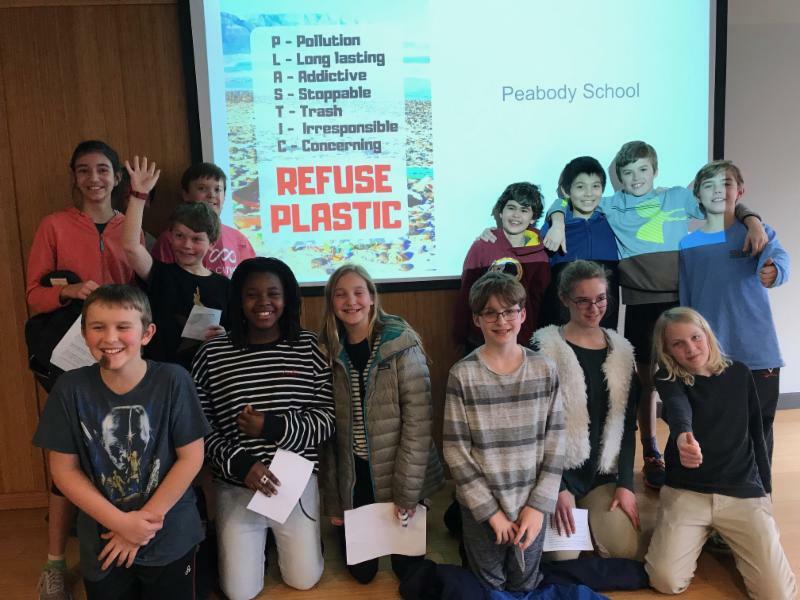 The goal of the Peabody Raspberry Pi Camp is to get someone over the initial hurdles of coding and become self sufficient for electronic projects in the future. A Raspberry Pi is a credit card sized computer that is a powerful learning tool for coding and electronics. If your student is interested in learning about robotics, coding, and circuitry and wants to learn real world coding and applications, this is the perfect summer camp for them. Go to cvillepicamp.com to learn more and sign up. Le Club French Summer Immersion Camp will be held at Peabody School during the weeks of June 17th and June 24th. Find more information register here! Light House Studio has opened registration for their Summer Film Academy and would love to have some Peabody students! Here is a link to the list of workshops. Brixx Bucks for Education Night, Wednesday, March 27th - Brixx will donate $4.00 per pizza/adult entrée and $1.00 per child’s meal to Peabody School. Please print the flyer and take it with you to Brixx so Peabody gets credit. For more information about Game Night, PPF meetings, volunteer opportunities, or with questions or concerns, please contact Shannon Walsh or PeabodyParentForum@gmail.com . Thanks! We are ready to submit Box Tops again! Please submit them to the school by February 28th! Albemarle High School will have their visitation day on Tuesday, March 26th . This day invites interested students to come visit AHS from 9:30 – 12:30. Counselors will hold an information meeting for parents/guardians at 4pm. Families that are interested should contact Sheena Washington in the AHS School Counseling office at 434-974-4321 or by email at swashington@k12albemarle.org to sign up. Due to the fact that students will need to be assigned to a group, they will need parents to RSVP no later than March 20th. 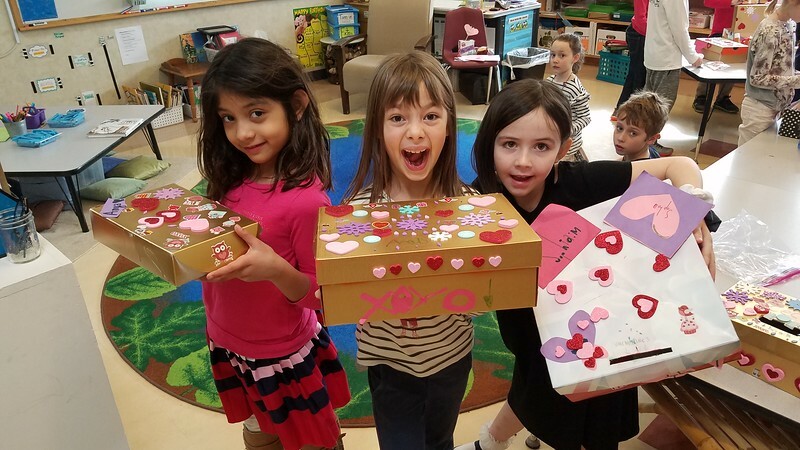 We Love our Peabody Students! !